For business owners of color, focusing on the company brand is a full-time endeavor. It takes a lot to make sure the corporate brand is where it needs to be. As a result, the business owner’s personal brand is often a blind spot. She simply doesn’t think about her own personal brand, as her attention is on building that business. 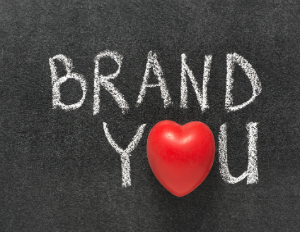 But a personal brand is currency, as it can open doors that benefit your business. In fact, a personal brand can attract opportunities and clients to your business in a way the corporate brand simply may not be able to do. That is because as you build your personal brand and become known in your industry, others will want to be associated with you. They will seek you out and they will want to do business with your company because of your personal brand. Your shiny personal brand makes them look good. So how can you grow your personal brand in a way that benefits your business? Well, we have some interesting marketing trends growing right now and you can leverage those to build your personal brand. Here are three. You’ve no doubt seen live streaming if you’ve hopped onto Facebook at all in the past few months. Facebook Live allows anyone to broadcast live. And get this: people watch those live videos about three times longer than they watch regular videos, according to Facebook. That means your brand gets in front of viewers for a longer period of time, thus building awareness and creating connection. Big brands are taking advantage of this trend, why not you? There are several live streaming platforms, including Facebook, Twitter’s Periscope, and YouTube. The way you can leverage this trend to build your personal brand is to think topic, timing, tone. With topic, if you want to build your personal brand in a specific area, that means live streaming on topics in that area. So where your friend may pop onto Facebook Live to talk about any random topic to share her day with friends, you don’t do that. Instead, you pop onto Facebook Live to talk about something that is related to your area of expertise, or the area in which you want to be known. Being on topic helps your audience know what to expect from you. In terms of timing, what this means is showing up consistently. As with any personal branding effort, showing up consistently is key. When you choose to live stream as a means of building your personal brand, you must be willing to commit to doing it over and over again. While it’s not necessary to live stream every day (though some do! ), you do want to do it regularly. So you can’t do a live stream this month and not do another for five months. Arrange time to live stream regularly. And with tone, this means actually identifying what kind of feel you want your live stream to have. Will it be authoritative, casual, funny, etc.? Identifying the tone for your regular live streams can help you determine the format or even the type of information you will share. For instance, if you decide you will create an authoritative, quick-hits live stream, then you may choose to have a format where you make a point to list three action items for your viewer. Or if you want your live stream to be funny, then you may make a point to put a funny spin on whatever it is you share each time you broadcast. One marketing trend that has been around and is growing, especially among those who run service businesses like coaching, consulting, design, etc., is purpose-driven–or purpose-filled–marketing. Here, where traditional marketing may be concerned with convincing people to buy from you, whether there is a need or not, purpose-driven marketing is about connecting with your audience by sharing the emotional reason behind your work and letting that attract them to work with you. This type of marketing provides a wonderful opportunity for you to fold your personal story into your marketing message. The way you can use this type of marketing to build your personal brand and grow your business is to step away from the cookie cutter. It’s not about blindly following a marketing strategy because everyone else in your industry seems to be doing it, or copying someone else’s approach. It is about truly getting back to why you started your business or what transformation you want to help your clients achieve. Share your story of how you came to do this work or discuss your mission. Be willing to stand for a cause or for a value. Let your audience know this work is about more than the dollar–as important as it is. This can be especially beneficial for women and business owners of color who find that it’s not necessary to dilute a message or try to appeal to every single person out there. This is an opportunity to share the authentic self, stand for a cause, or seek to meet the needs of a specific group. You can use this type of approach in your website, social media profiles, speaking engagements, and elsewhere. Connect with your audience on an emotional level. Stock art is a staple for many brands, as art from large photo libraries can make illustrating blog posts, sales pages, etc., affordable and convenient. And while stock photos aren’t disappearing, one trend going on is that of the emergence of personalized images to illustrate more and more blog posts, sales pages, etc. Personalized images lend to the authentic feel of a brand, and help to create unique experiences consumers can’t get anywhere else. You can use this trend to build your personal brand by choosing to use your own images on your website or even in ads, where they fit. For instance, instead of using a stock photo for your home page, you choose to use one of you in some way, maybe in action, doing the work you do, speaking, interaction with a client, etc. Using your personalized images helps to build your brand because this practice increases the know-like-trust factor, as people buy from those they know, like, and trust. The more your audience sees your smiling face, the more they just may start to know, like, and trust you. You can use these three marketing trends to build your personal brand, stand out, and attract more opportunities to you–and your business.